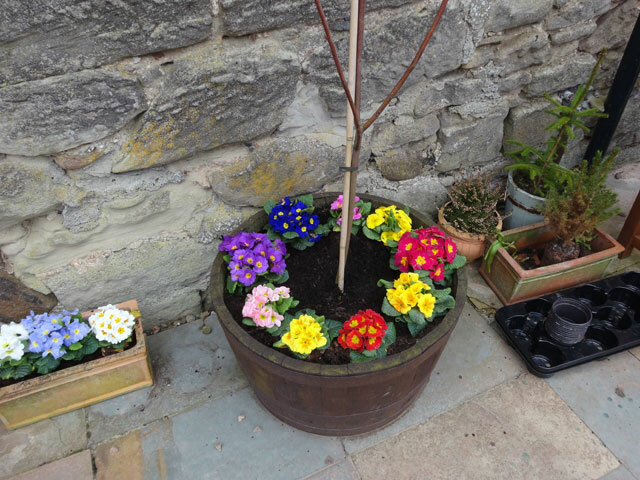 These beautiful plants were brought to Rachel by Morag -- don't they look good? Up and walked Mix. Breakfasted and then spent quite a long time first with Bill and then with Morag setting up the built-in GPS system in Bill’s car. Next time they come it should shorten the journey by at least two hours! Too soon it was time for Bill and Morag and Cathy to set off. We waved them away after a coffee in the Bothy at which point I set about creating some kind of order in the Bothy and then preparing for the Business Committee tomorrow evening. Then it was bed with a book and just a little bit of cricket before I fell asleep. Tonight was the first of the semi-finals, New Zealand against South Africa, and I have tipped New Zealand since before the competition began. I was concerned because in the short while I listened, New Zealand dropped both openers. That can be catastrophic as was shown when New Zealand’s Martin Guptil was dropped a couple of days ago. He was on 4 at the time, I think, and went on to make something like 237 not out.